Decades of research have revealed the core skills required to become a good reader: decoding the print on the page, reading aloud with proper expression, and of course, understanding meaning. Learning the relationships between letters and sounds in words will set most children on a successful path to decoding, but having an adult model reading with expression, as well as the opportunity to practise themselves, will help children become fluent. Improvements in vocabulary and understanding that stories are structured with beginnings and endings, and characters and settings, will all help children to make sense of what they read. Mostly, children acquire these skills in the normal course of their primary education, and if they don’t, there are interventions available to target specific needs. But what if we offered more balanced interventions, which included aspects of decoding, fluency and comprehension, and that could be delivered to all children early on in their education to boost development? At Coventry University, we decided to test that idea with funding from the Education Endowment Foundation (EEF). We wanted to use a strong evidence base to develop an intervention, and so we created a balanced reading intervention aimed at all Year 1 children using activities based on decades of literacy research which highlighted the types of knowledge and skills that promote the core reading processes evident in good readers. The activities are proven to be effective for developing phonics, reading fluency and reading comprehension, and are linked to texts that are suitable for early readers. The EEF-funded intervention was delivered by teaching assistants (TAs) in 50 schools in the West Midlands. Coventry University trained the TAs to deliver the intervention and supported them throughout (although once up and running, little support was necessary as we provided lesson plans for the whole intervention). This delivery model mirrors more closely what happens in real life in schools (e.g. TAs delivering interventions), and has the benefit of offering quality CPD to TAs — an approach highlighted to be effective in the EEF Toolkit. We made the intervention available in two forms: an ICT version, using a suite of online reading activities and stories (called ABRACADABRA, or ABRA for short), developed by Concordia University in Canada, and a paper version that used the same activities and stories, but delivered using traditional resources such as paper, cards and magnetic letters. TAs delivered 15-minute sessions to groups of four pupils, four times a week for 20 weeks, either using the ICT or NON-ICT version. The sessions were supplementary to their normal literacy and any other literacy provision that schools were using. At the end of the intervention (one academic year), the ICT programme led to two additional months of progress in reading attainment and the non-ICT programme to three additional months of progress(measured by a standardised reading assessment). The improvements were even more significant for for disadvantaged children, with them making five additional months of progress in reading. Improvements were evident in the phonics screening check at the end of Year 1, with significantly increased scores for children that received the intervention. 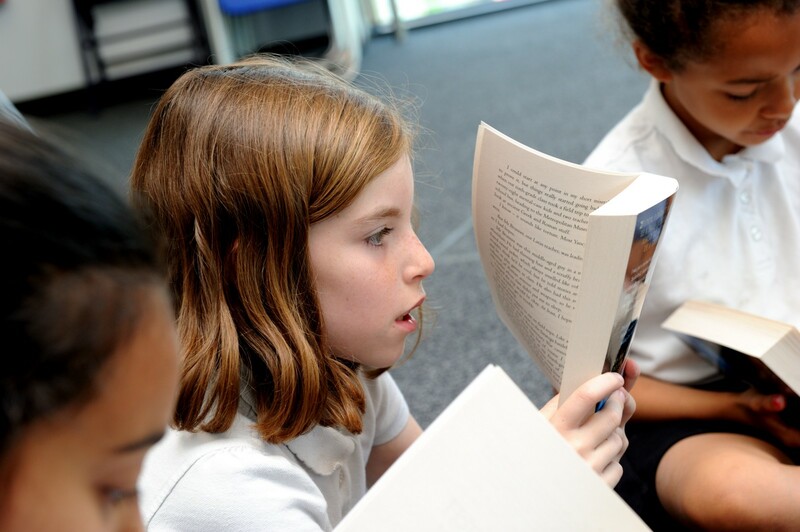 An addendum report published this month also found that the positive effects of the intervention remain even a year after, with significantly increased performance in Key Stage 1 reading and writing SATs . We found that it was particularly important to use a well-designed and delivered training programme that supported TAs to deliver the intervention in a consistent way. Our experience of the study highlighted to us the need for quality CPD for TAs — many of the TAs involved had not received such thorough CPD to deliver interventions in the past. Yet the fact that the success of our intervention was partially credited to the CPD received by the TAs shows just how important CPD is for anyone involved in delivering interventions to pupils. The full EEF report can be found here. The EEF are funding a new effectiveness trial of ABRA that will test whether a scalable version of the training and resources can produce similar results. Together with Nottingham Trent University and the National Literacy Trust, Coventry University are recruiting schools from Manchester, Newcastle upon Tyne, Teesside, Nottinghamshire, and the West Midlands to take part. The new study will follow very similar lines to our first study, one exception being that it will not be restricted to TAs. Any suitable member of school staff will be trained to deliver the intervention. The new study will commence in September 2018 and run until the summer of 2019. For further details, please complete our expression of interest form or email Emily.best@literacytrust.org.uk. Dr. Janet Vousden, is a Research Fellow in Health and Life Sciences at Coventry University. This article was first published by the Research Schools Network.